You’ll realise once you begin to take note of what ingredients each Lush product has that bath bombs have so much more going for them than just their colour or shape. Initially a bath bomb is a quick and easy way to practice aromatherapy at home, once you start to learn about all of the essential oils and fresh ingredients that Lush use, you start to understand all of the benefits to gain in using each and every individual product. So White is a fantastically big and bulky sized bath bomb, I hadn’t used this particular one prior to 2015 but will admit to being really excited about trying it out as I believe the plainer bath bombs have hidden secrets! 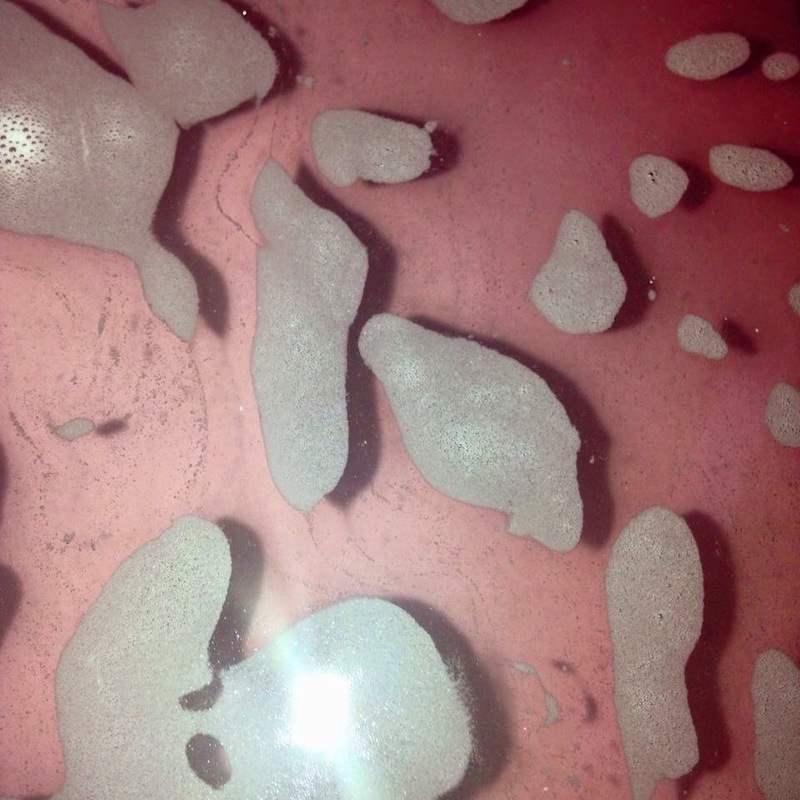 Once the So White bath bomb hits the water it begins to fizz away, slowly revealing its not ‘so white’ innards. Small streaks of pink start to fill your bathtub, the pink streaks getting more and more noticeable as time goes by. 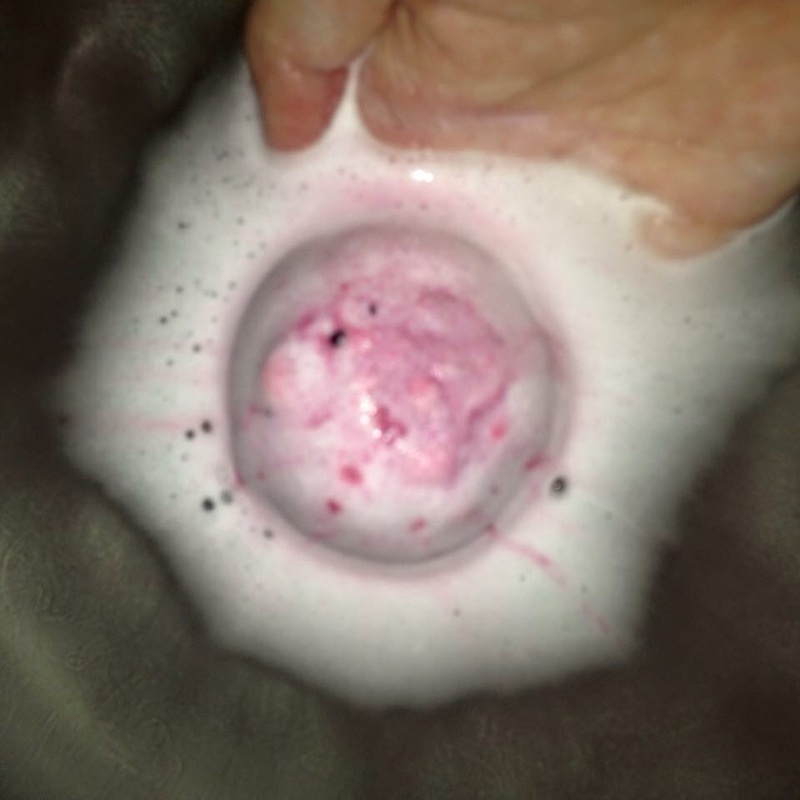 I am a huge fan of the colour pink and was therefore very, very happy that this bath bomb, just like the Luxury Lush Pud left you with pretty, pink bath water. I can still smell the scent of the So White bath bomb on my skin once I have got out of the bath, the very first time that I tried it I could not stop sniffing myself which is always a good sign! A So White bath always leaves me calm, uplifted and eager to drag out my Disney DVD’s. I will most certainly be stocking up on this beautiful bath bomb before the end of winter this year (2015) as it’s one of my favourite Winter products of all time. Try it yourself, you won’t regret it! Got this one sitting at home, may use it tonight now after seeing how pretty it makes the water! I love that unexpected explosion of color! I’ll have to try that one next. Now that it’s finally fall in TX I won’t die if I take a bath. it’s defo my favourite scent! Who knew that this one would be so pretty inside, I must pick it up next time I’m in Lush! To be honest, I am quite new when it comes to Lush’s bath bomb products, but after reading your blog, I am almost simply dying by excitement to try some of them out, and especially this So White Bath Bomb. I’ve always adored the shade of white and pink is such a lovely shade too. I would love to try this one out as my first so ever bath bomb. Maybe next time when I step pass Lush. 🙂 thanks for sharing. I will gladly follow your blog. Thank you! 🙂 that’s a great first bath bomb you’ve chosen, I’d also recommend the Luxury Lush Pud if you like pink and white (and are feeling a little more adventurous!) Let me know once you’ve got a So White, can’t wait to see what you think of it! I am rather broken right now. Student you know. But if I get the chance I will buy it, and of course I will give you some feedback. 🙂 thanks for the recommend. I will definitely try it out when I can.